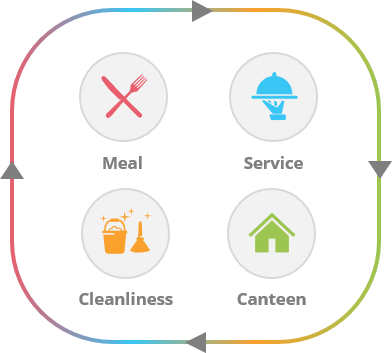 Foodback is the all-inclusive feedback solution for the Horeca industry. We have worked with some of the best researchers in the world to establish a set of questions that is tailored for your needs. Forget about large implementation projects, workshops and meetings. With Foodback, you’re up and running in a matter of minutes, not days. If you want to put your touch to it, you can. It’s fully customizable. 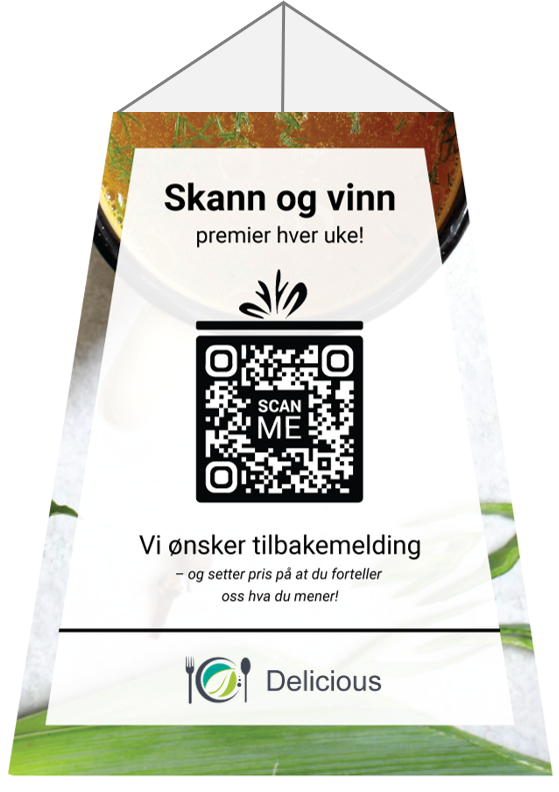 We have developed a functional and well designed table stand, made for scanning QR codes. They have just enough tilt to make sure your guests can hold their phones in a natural position while scanning. Contact us, and we’ll make sure our design department makes something beautiful that blends perfectly in with your existing brand. Foodback is made to be fast and free from friction. 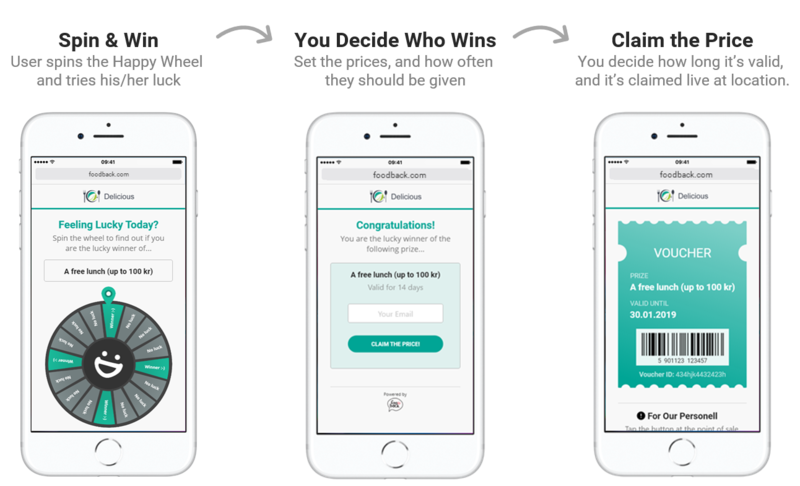 To engage your guest even more, activate our fun and interactive Happy Wheel. You set the prizes, win frequency and how long the voucher should be valid. You can even add a bar code to it, so it’s super easy for both guests and your employees to use them.